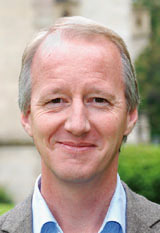 Dr. Henning Wuester is Senior Manager at the Interim Secretariat of the Green Climate Fund (GCF). Previously he was Special Adviser to the Executive Secretary of the United Nations Framework Convention on Climate Change (UNFCCC) in Bonn. Before working at the Climate Change Secretariat he held various functions in the Secretariat of the Convention on Long-Range Transboundary Air Pollution (LRTAP) at the United Nations Economic Commission for Europe. Within IFOK’s Advisory Board, Dr. Wuester mentors IFOK´s international climate projects and acts as a link to the UN and GCF processes.